'Got any more of that PBL? ': Using research to change perceptions and create "Think Space" for Teachers! 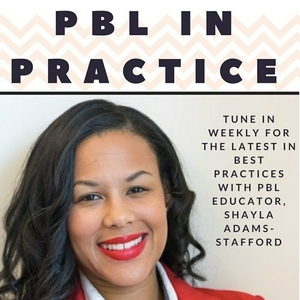 Weekly tips, interviews, strategies and best practices in implementing Project Based Learning from Instructional Coach Shayla Adams-Stafford. Coaching through Inquiry: Jill Ackers shares how she uses the power of questioning to help teachers execute PBL! AP US History + PBL...can it be done? Join us this week as we chat with PBL educator Alprentice Mccutchen as he breaks down his concept of the 'Super Unit' which he uses to bring PBL 'depth and not breadth' to this challenging course! Keep up with Al on Twitter @AlprenticeM ! Teacher as Learner: Leading a PBL School and helping teachers reimagine the student experience! "Man, why are we learning this? "- Designing 'with' students, teacher vulnerability & letting go! "And the winner is...." Using the arts and bit of competition in ELA! Dara Laws-Savage describes how she uses her innovative Carter Awards program to bring ELA research to life! Keep up with Dara online @ Twitter: @msdlaws, and in her Facebook group: Savage Educational Consulting! Our guest this week Ted Malefyt breaks down how he uses Loom to provide effective, screen-recorded feedback to students to create dynamic projects. Best part--- this tool is free! Ted also delves into the intersection of Tech and Nature and how he balances the two to create authentic projects! Keep up with Ted and his awesome work at the STREAM School @tedmalefyt, stream school.weebly.com or shoot him an email ted@outdoordiscovery.org. 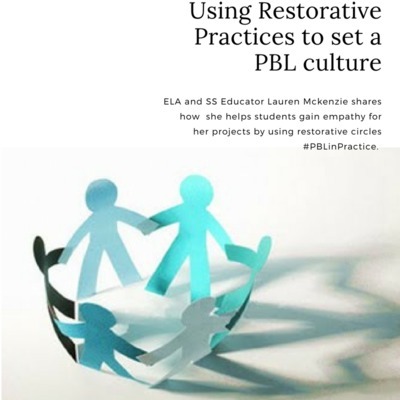 Join us as we chat with Lauren Mckenzie, a D.C. based ELA and SS educator, as she shares how she helps students connect and create empathy for a project through restorative practices. For more info on Lauren and her project you can reach her at lauren.mckenzie@dc.gov.! Tech Tuesday: Using LittleBits to practice Computational Thinking! 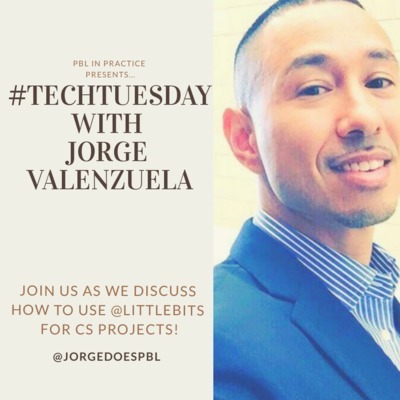 This week on our very first #TechTuesday we have the opportunity to speak with Jorge Valenzuela- a computer scientist enthusiast, and writer who breaks down how to use @littleBits with projects both at school and at home! Keep up with Jorge on his blog www.lifelonglearningdefined.com or on twitter @JorgedoesPBL ! Recharge: How to help teachers overcome 'PBL fatigue'! Maker Teachers Andrea Wilson-Vazquez and Hannah Cushing share how they use creativity, reflection, an AMAZING management system and patience to inspire Alternative and EBD Students through "Passion Based" Learning. Keep up with them online; Twitter: Hannah- @teachercush, Andrea- Twitter: @wilsandrea and on Instagram @wecmakerspace ! Keep It Simple! How to find clarity in the midst of projects! Join us as we chat with Aaron Eisburg, learning facilitator at Center for Excellence as he shares with us how he helps teachers and students find clarity in the midst of crazy projects! He also shares how learning lab tours can be a great source of PD and much more! Keep up with Aaron @eisbergpbl and the Center for Excellence @newtechhighcfe. 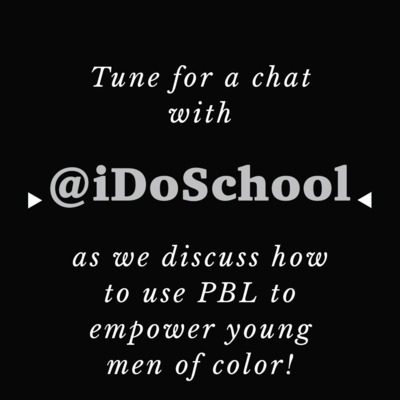 Join us as we chat with Charity Parsons of @idoschool as she breaks down how she shatters stereotypes about what Black males can do through her dynamic interdisciplinary projects. She empowers teachers all over the country by giving them space to think, research and create great PBL! Follow her on Twitter @idoschool or check out www.idoschool.com! Bringing Non-Fiction to Life in ELA! Join us as ELA teacher @melteets breaks down how she makes non-fiction engaging using conspiracies and documentaries! She shares how she uses curriculum maps and purposefully designs for student centered learning. Parks, Partnership and Empathy: Using National Parks for Dynamic PBL! "At-Promise" Youth and PBL: Building a sustainable future for students in DC! Join us for our chat with Janel Brown, Founding Deputy Executive Director of Sustainable Futures, a public charter in DC combining PBL with competency- based learning for youth often furthest from opportunity. 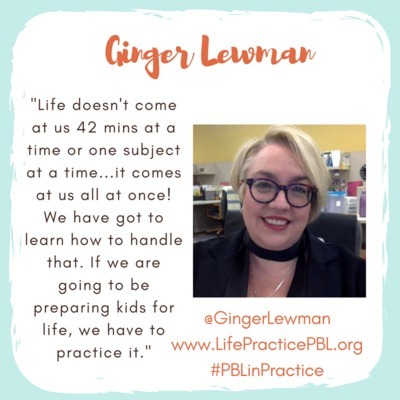 She keeps it real with us about the challenges and triumphs of their 'Year 1' and her thoughts on how PBL is the solution for reaching this population. Follow her @eatprayeducate and Sustainable Futures @sfpcsdc! "Not Your Parent's Gym Class!" 2pac May Not Be Relevant! 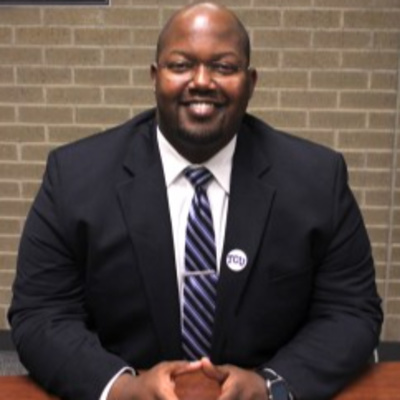 Dr. Kelvin Bullock, Executive Director of Equity Affairs, talks with us about using PBL as a tool for equity, and how to avoid pitfalls when trying to make a project culturally relevant. You can keep up with him on twitter @dps_equity or @dkelvinb! Tune in and subscribe! Math expert Telannia Norfar breaks down how she combines her field experiences from her non-traditional path to teaching with her insatiable love for PBL to create math projects that actually simulate the real world! 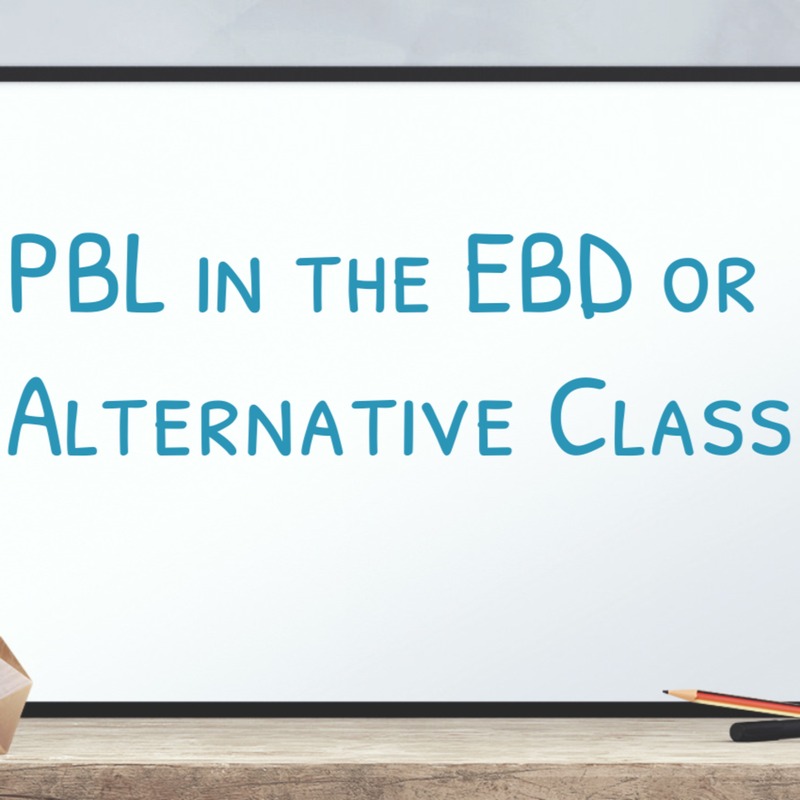 She gives us a glimpse into her classroom and also into her forthcoming book "Modeling Mathmatics in PBL". Keep up with Telannia on Twitter: @thnorfar or through her interactive blog www.PBL-birdside@blogspot.com ! 70 Students +My First Project! Andre Daughty talks to us about encouraging new PBL teachers, his first project and his class of 70 (yes you read that right... SEVENTY!) students. 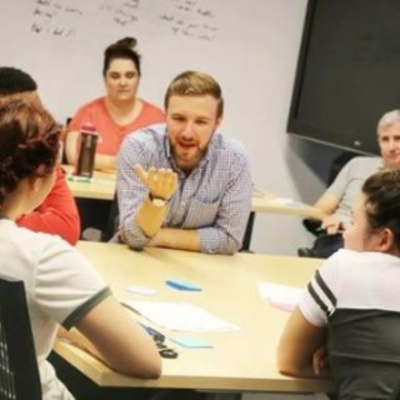 He dives into how he encouraged reluctant students to connect with local history, and pushed new PBL teachers to realize what their students could do! Tune in! You can follow Andre @andredaughty on Twitter. Intro! • Who am I?